Red Dead Redemption 2 and the recently rolled-out Red Dead Online Beta have been getting some great reception around the internet and now are getting a few updates. 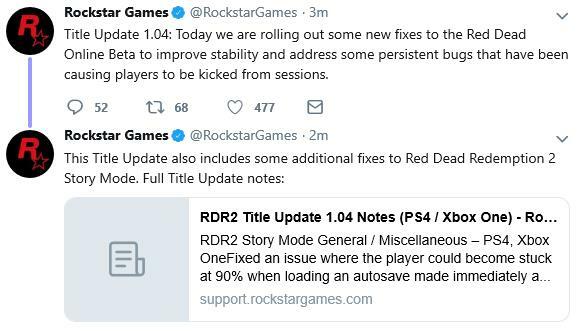 Per the Rockstar Twitter feed, both the game and Online Beta will get several updates today, with most being bug fixes. The patch notes were posted to the Rockstar Support page, but I have also included them below, but as mentioned above most appear to be bug fixes with a couple of stability improvements for the Xbox One and PlayStation 4.